We are very Excited to announce the winner of our May Challenge. 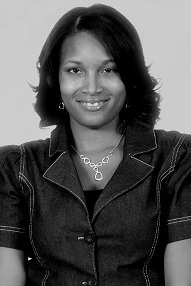 Keva Davis. Her Fish Tail Pompa-do is beautiful and creative while being simple enough to do at home. 1. Direct the Hair forward toward the face making sure that the hair is lying smooth. 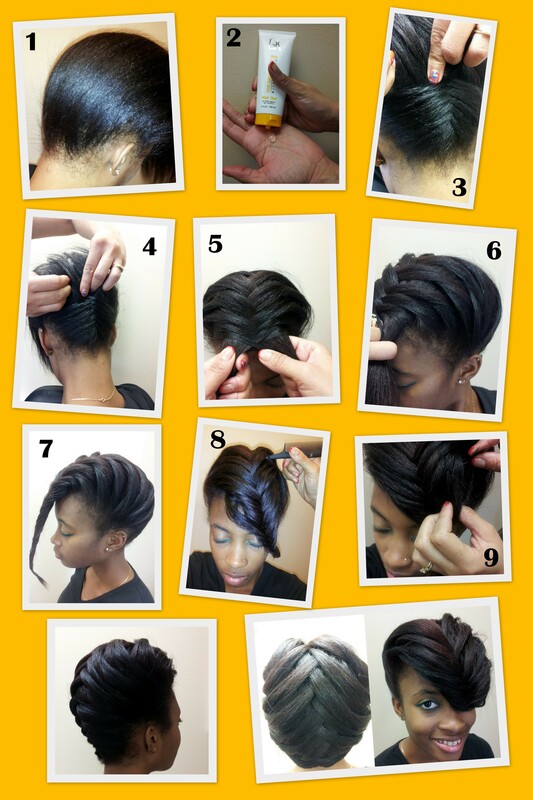 2. apply GKhair Gel this will give you the extra control that will be needed when you begin your braid. 3. Begin braiding at the base of the head. Make sure to gather the hair as tightly as possible this will pull the hair closer to the scalp creating a tapered look. 4.When you reach the top of the nape begin to braid the hair loosely but securely, this will allow for the braid to be lifted in step 7. 5. Once you have reached the front of the head continue forward with the Fish Tail braid. Braid loosely until hair has been completely braided. Secure with a small hair band. 6. Once the hair has been secured, gently widen the end of braid to your desired width. Be careful not to unravel. 7. Use your GKhair Fine Tooth Comb to lift the mid-section of the braid. 8. After the braid has been lifted, tuck the end of the braid under itself and secure with a bobby pin. Use as may pins as needed to hold the hair in place at the front of the head. 9. Finish your Fish Tail Pompa-do using our GKhair Stronghold Hairspray. Spray liberally to hold braid in place. Previous Is your hair ready for summer?